Our new family for the next 5 Months!!! 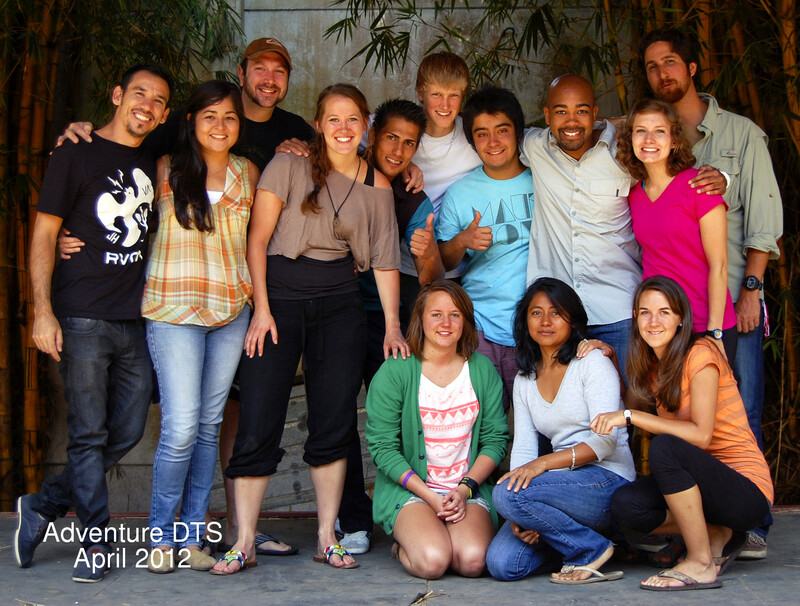 Adventure DTS 2012!!!! Nations represented … Chile, Norway, Holland, USA, Canada, Mexico and Costa Rica ….. Starting our third week … with a wonderful theme: Identity in Christ … our speaker John Ray, from Arkansas …. We are ready to go deep .. and receive more revelation about our names and our destiny in Christ …. As we begin this new week, we invite you to pray for each of our students and staff ….. that God will continue touching and transforming every heart. RECUERDEN BIEN ESTE GRUPO Y ESTE TIEMPO QUE DIOS LES DA, PUES MARCA EL PRINCIPIO DE MAYORES COSAS EN SU VIDA, AHORA QUE LO DIRIGEN COMO MATRIMONIO, TENGO LA SEGURIDAD, K PUERTAS DE BENDICIONES QUE ESTAN ESPECIALMENTE DISENADAS PARA USTEDES COMO MATRIMONIO COMENZARAN A ABRIRSE Y NOSOTROS LOS QUE LOS AMAMOS,, ESTAMOS MUY FELICES Y PENDIENTES POR LOS DOS, QUE DIOS LOS BENDIGA MUCHISIMO, DISFRUTEN MUCHO ESTA NUEVA ETAPA,,, LOS KIERO! gracias Car!!! Dios te bendiga mucho… y su soberania sea manifiesta en tu vida….